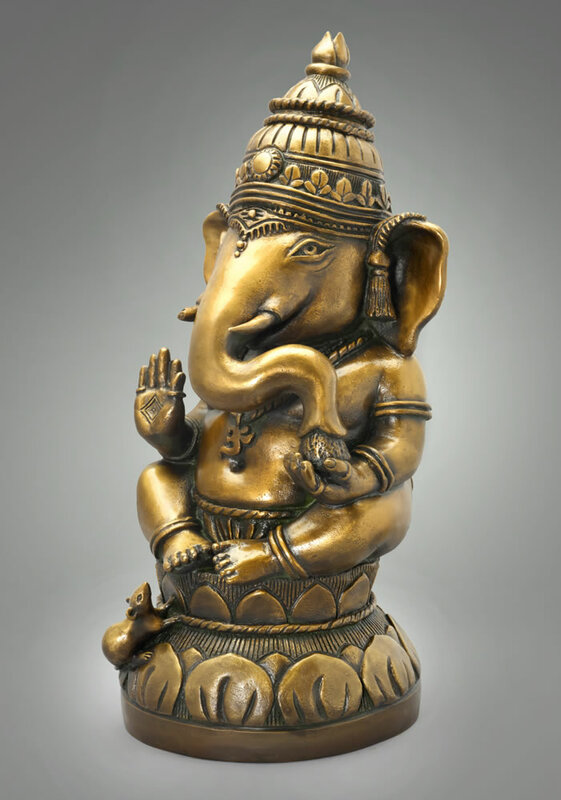 Ganesha is known as the remover of obstacles and the Lord of new beginnings. 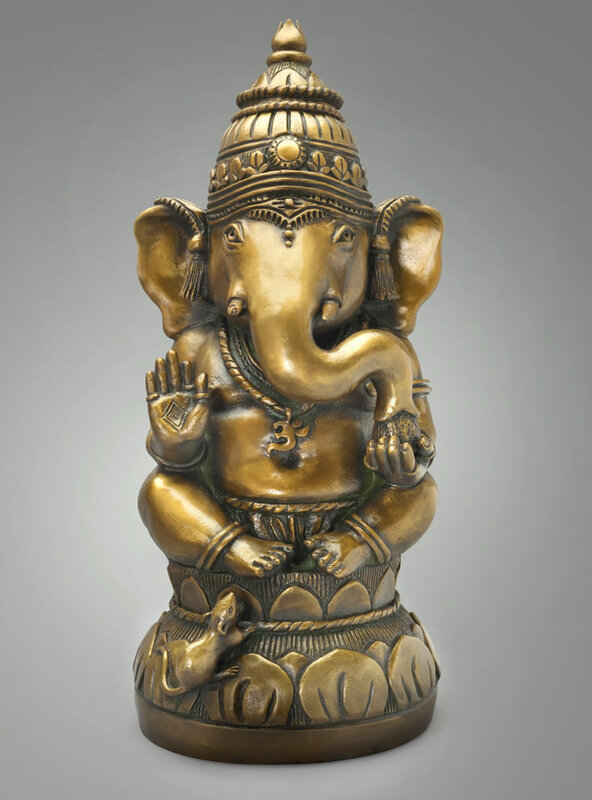 He is the creator and remover of obstacles, both material and spiritual. He represents wisdom and learning. 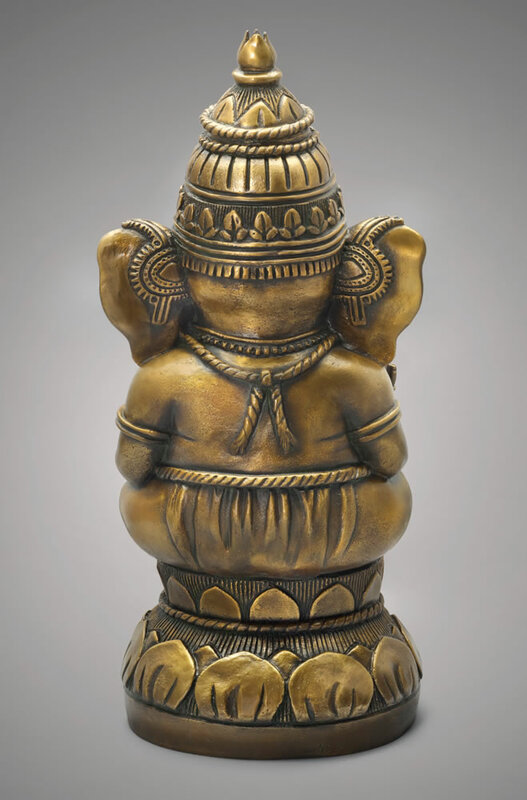 The mouse below his feet represent overcoming selfish desires as well as Ganesha's ability to penetrate the smallest secret place in our lives. He wears the sign of AUM, as he is one with the sound of the universe. 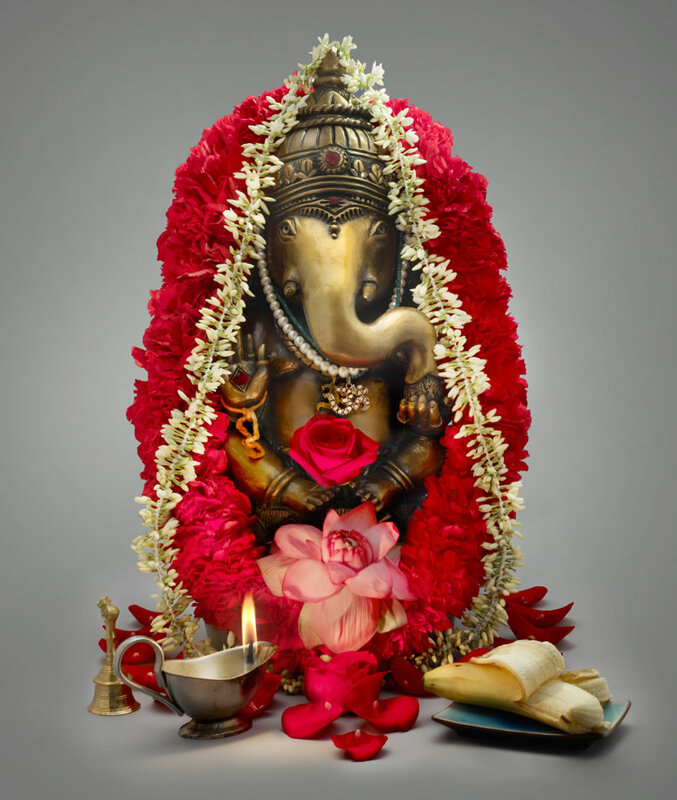 May Ganesha bless you with successful endeavors.